The Adinandna program initiated to felicitate and honour a unique person of the Holy Emmanuel Church parish, Susila de Silva, will be held on Feb 9 at 9am at Parish hall, with the Archbishop of Colombo Rt Rev. Dhiloraj R. Canagasabey Lord Bishop of Colombo, gracing the occasion. The present Holy Emmanuel Church was built under the patronage of Governor Sir Robert Brownrigg who contributed his share towards the erection of the Church. This Church was popularly known as the “Brownrigg Palliya” and was large enough to hold 800 to 1,000 people. 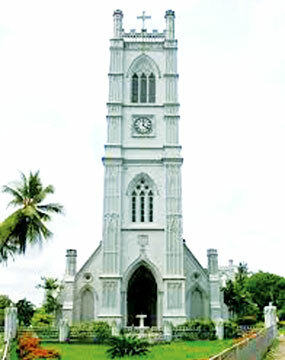 A significant feature of the Anglican Church in Moratuwa was that from the very inception, Divine Services and all other Church activities were conducted in Sinhala.